This is a completely customized movie character superman theme wedding cake topper ordered by one of our customers. 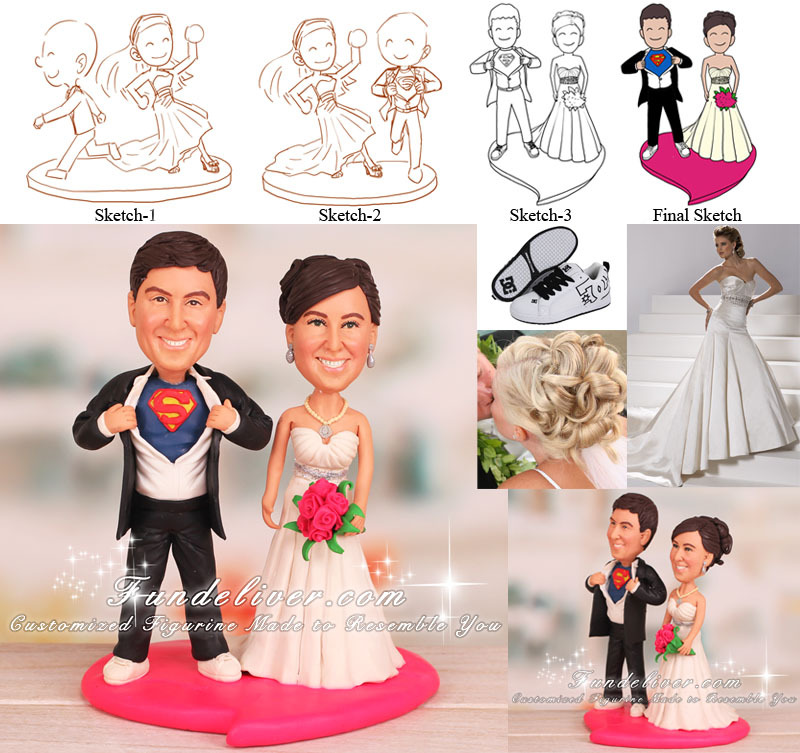 In their original plan, they would like a running groom and dancing bride design, but after checking the first two sketches, they changed their mind to a superman cake topper. This cool groom is ripping off his shirt to reveal his true superhero identity and wearing the DC shoes with white shoelaces. The bride is wearing her white wedding dress with the hair all up in a fancy fashion, holding hot pink/fuschia color flowers. Both bride and groom figurines are standing on a heart shaped pink/fuschia base to match her followers. 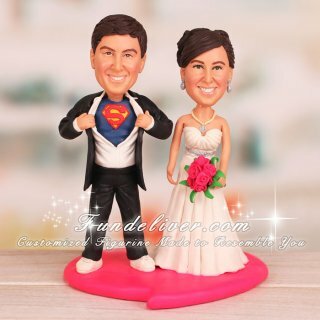 Looking for a movie character theme cake topper like this superman figurine? We can make it! Just send us your idea and reference images, we will first design some 2D sketches to get your approval and then turn them into 3D figurines.